For a few years now, Esoteric has been widening its furrows, letting in much more than what the average fan might consider “progressive rock”. I sometimes worry that they are straying too far from their original grounds, but the results are nonetheless interesting. 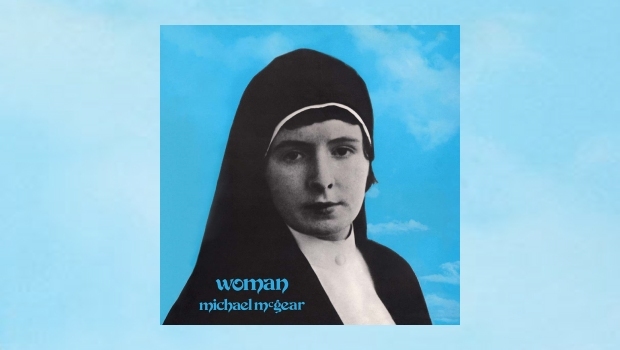 One of the latest such additions is Michael McGear’s Woman, an exploratory album and a melting pot of many styles and instrumentations. The opening title track is quite untypical of the album but is certainly the best choice as the opener, a simple yet unfamiliar chord sequence, with McGear’s angelic voice rising through and grabbing the listener by the ears. Enthralling stuff. Ahead is a hodgepodge of ideas, some fully formed, like the David Brentesque Benna/Roamin’ a Road, and others less so, like the minute-long verbal graffiti Edward Heath. But the album has immense beauty and melancholy in places. Bored as Butterscotch sticks out as a highlight, with a delicious arrangement featuring a gospel choir and lovely rolling toms in the drum fills. The final track, a medley of sorts, lasts eight minutes, and could be viewed as the most ‘progressive’ thing on the album, but only because of the unusual structure. The ideas are disjointed, the execution fun but unmemorable. The reissue itself is perfectly decent, the booklet featuring interviews with McGear himself. I’m particularly fond of the booklet’s casual note on McGear’s family connections, only once mentioning that his brother “was in a band called The Beatles”. Confusingly, however, the listed tracklist features two crossed out bonus tracks, Kill and Kill (Rock Version), with the curious note “Censored by Mike (McGear) McCartney”. Scanning the notes, it seems that whatever this Kill song was about (and it apparently wasn’t very nice) McGear didn’t want the same angry sentiment being repeated in 2017, afraid he might inadvertently cause some malicious act of violence. This has only gone to serve my curiosity – how bad was it? Unfortunately, nobody with the original 45 Woman/Kill single has been to YouTube to upload it yet, so we may never know. This will surely irritate many completists, myself included. That being said, I do admire McGear’s decision to change his stage name to avoid riding on some very famous coat-tails. While he may never completely shake the connection, he goes a long way towards establishing his own name and his own sound, although quite what that sound is supposed to be is not very clear on this record. Keep an open mind, and you may quite enjoy the fruits of this labour.